16 foot waterfall and warm water grotto. 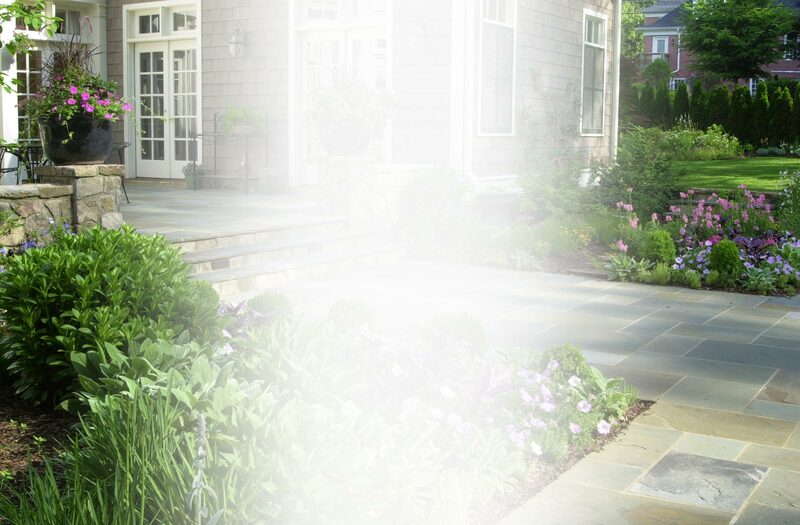 Many varieties of flowering trees, shrubs, perennials, and ground covers. 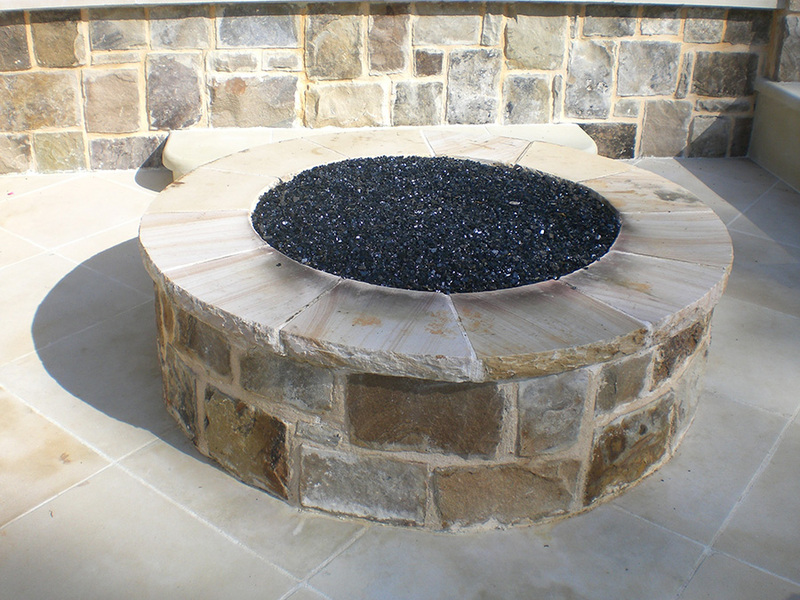 Stone and tile fire-pit centerpiece. Currently promoted as one of Atlanta’s Luxury Lease Properties, the Fairfield House is a wonderful back drop for weddings and occasions, film and catalogue shoots, as well as short and long term stays. 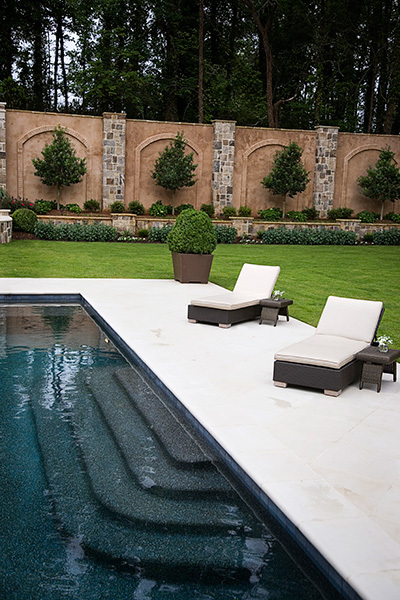 Together with the project architect and builder, Ed Castro Landscape helped design and transform this property from one of overgrown, outdated plants, hardscape elements and mature plant material, into a twist on the everyday back yard, we turned this once abandoned lot into an executive oasis. 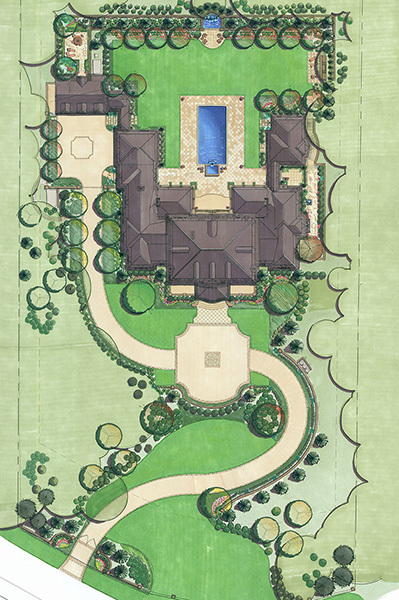 One of the main challenges of this project was the 18 foot elevation change out of the back of the proposed home which limited the size of the rear yard. 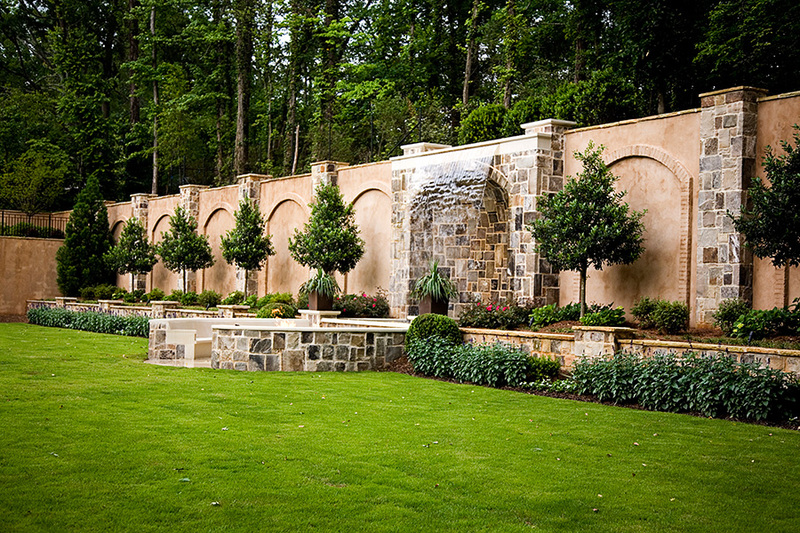 By designing a large retaining wall and pushing the elevation back, we were able to create a massive lawn area that would have been impossible before. 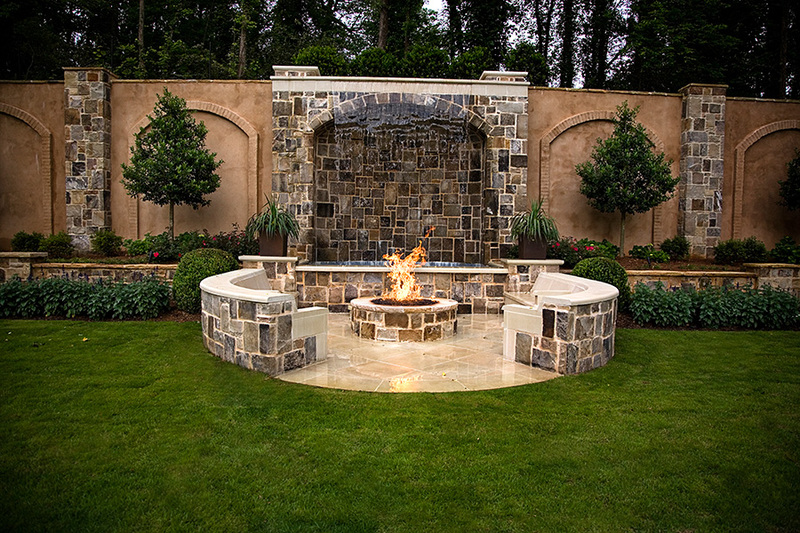 The wall was transformed into a beautiful hardscape element consisting of a 16 foot waterfall and warm water grotto. 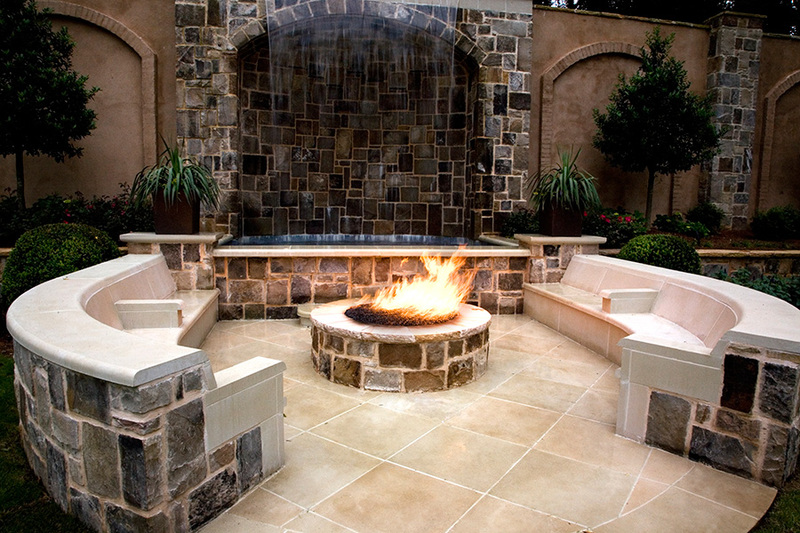 In addition, a Limestone gathering area with a glass fire pit adds to the ambiance and desirability of this property. 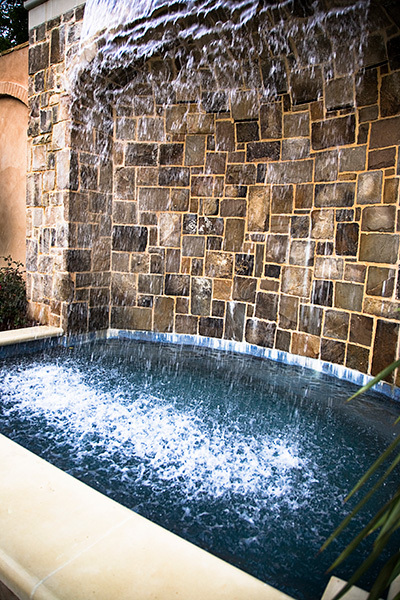 A new pool and Limestone pool deck on axis with the front door adds an inviting and relaxing feel to any guest. 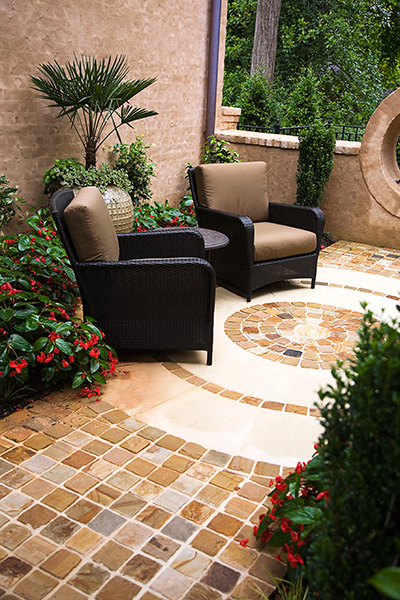 Other hardscape construction included a private master courtyard and enlarged motor court with stone medallion detail. 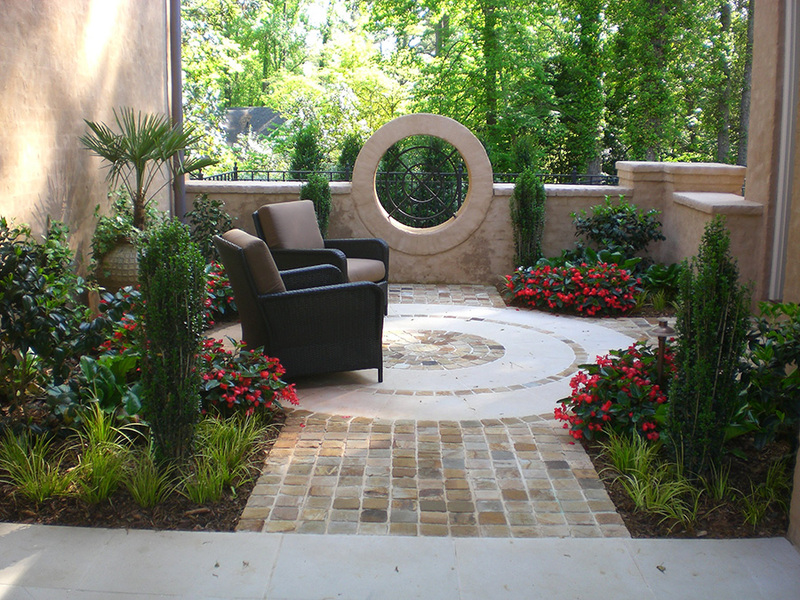 Many varieties of flowering trees, shrubs, perennials, and ground covers were installed which will provide interest throughout the year and accent the architecture. Finally, landscape lighting and a water efficient irrigation systems were also installed.